Australia is a land of dreams, a land of world famous landmarks and experiences, a land rich with Aboriginal culture. It’s a land with an historic past that will always tie us closely together. For many, a holiday to Australia is ‘a holiday of a lifetime’. Let Distant Journeys show you this amazing country on our 19-day Essential Australia tour. Experience the colourful, cosmopolitan cities of Melbourne, Sydney and Perth; indulge in the beauty of tropical Northern Queensland and be mesmerised by stories of Dreamtime in Australia’s Red Centre. If you book an Essential Australia tour now, you will be able to enjoy a two night homebound stopover for the incredible price of only £69 per person (£138 for single occupancy). This offer saves you up to £552 per couple and ends on the 1st July 2019. This wonderful tour offers exceptional value for money and takes you to all of Australia’s must-see locations. Locally escorted by your Distant Journeys Tour Manager and operated at a leisurely pace, welcome to our new tour for 2019/2020: Essential Australia. If you would like more information about a particular hotel or destination, please click on the orange text. Fly with Qantas or Emirates at the most convenient UK airport for you, for no extra cost. Our tours currently depart from these UK airports: Birmingham, Glasgow, London Heathrow, Manchester and Newcastle. All ﬂights with Qantas/Emirates to Melbourne travel via Dubai. After clearing customs and collecting our luggage we board our waiting coach and transfer to the four star Parkview Hotel, located between Albert and Fawkner Parks, just a tram ride away from Melbourne’s CBD. Our first day in Melbourne starts with a sightseeing tour, taking in the city’s most notable sights and places of interest. Among the places our tour visits are Federation Square, the Victoria Markets, Captain Cook’s Cottage (optional extra charge for entry), the Rod Laver Arena and the Melbourne Cricket Ground. After exploring the heart of the city, we also head to the scenic waterside suburbs of Port Melbourne and St Kilda. You can also enjoy your evening with a fantastic optional dinner on a historic tramcar. This is the first Freedom Day of our tour, where you’re free to do as you please and discover Melbourne at your own pace. If you need any advice, our Distant Journeys Tour Manager will be there to recommend the best things to do and places to eat in Melbourne, as well as to help book excursions and make any other arrangements you may need. Alternatively, why not take advantage of our Freedom Days optional tours, to experience even more of Victoria. The first is a tour along the Great Ocean Road, one of the most spectacular road trips in the road. This tour sets off from Torquay, where you’ll find the iconic surfing beach of Bells Beach, following the road along the stunning coastline to the end destination of the Twelve Apostles. Or, why not visit the world’s largest colony of little penguins? They can be found on Philip Island, where you can watch the Penguin Parade. This morning we say goodbye to Melbourne, heading to the airport to fly to Sydney. Once we’ve arrived, we start our tour of Sydney in style with a luncheon cruise around the city’s beautiful harbour. The cruise offers some truly magnificent views over to the iconic Opera House and Harbour Bridge, as well as to the many gorgeous waterside houses. 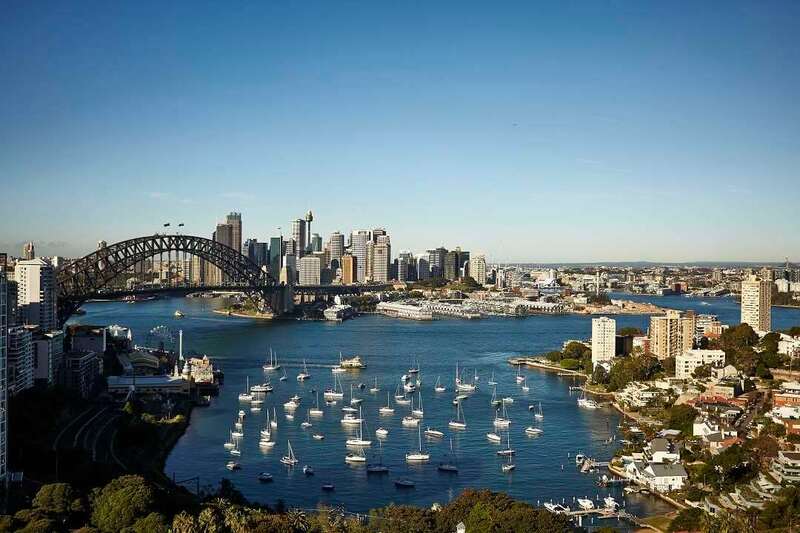 Following the cruise, our tour takes us around many of the city’s trendy suburbs, taking in Bondi Beach, Double Bay and Rushcutters Bay before returning to the city centre. As we head into the heart of the city, we’ll see Hyde Park, Parliament House and the unique Mrs Macquarie’s Chair. A sandstone rock carved into a bench by convicts in 1810 as a gift to Governor Macquarie’s wife, Mrs Macquarie’s Chair is not only an incredible sight, but also offers the perfect photo opportunity for Harbour Bridge and Sydney Opera House. Our first day in Sydney ends at the North Sydney Harbourview Hotel, where we will stay for the next three nights, enjoying a prime position on the north shore of Sydney, overlooking Sydney Harbour. This is your first of two Freedom Days in Sydney, where you’re free to enjoy Sydney as you wish, or join us on our optional excursion to the Blue Mountains, a UNESCO World Heritage Site. This rugged National Park west of Sydney is a perfect example of native Australian bushland, characterised by its towering peaks, dramatic cliffs, eucalyptus forests and stunning waterfalls. During our tour you’ll be able to soak up the scenery from a variety of vantage points, including Echo Point, the best place from which you can see the Three Sisters, an unusual rock formation. Among the other landmarks you’ll get to visit are Wentworth Falls, an incredible three-tiered waterfall, and the pretty village of Leura, a hub for local art and culture, famous for its annual garden festivals. A second Freedom Day in Sydney to further explore this wonderful city. Sydney is a city that takes full advantage of its natural setting – its sparkling harbour is host to the world-famous Sydney Harbour Bridge and the spectacular Sydney Opera House. Sydney’s suburbs are blessed with lush native bushland and pristine sandy beaches. Add to this the excellent restaurants and cafes, endless shopping opportunities and a vibrant culture and it’s very easy to understand why Sydney is one of the world’s favourite cities. Enjoy! Sadly, we must say goodbye to Sydney, but our sadness is short-lived as we know the beauty of tropical Queensland awaits. We return to Sydney Airport in time for our ﬂight to Cairns. 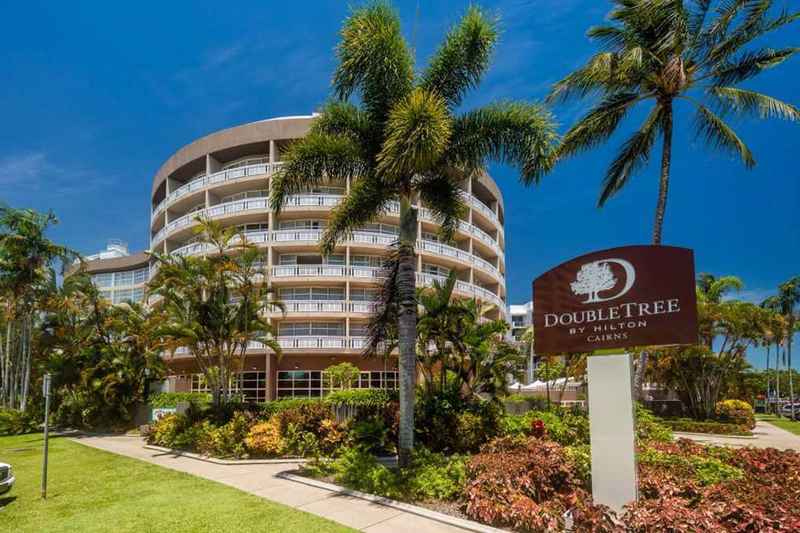 Upon arrival we shall transfer to the centrally located four-star DoubleTree by Hilton, which will be our home for the next four nights. A holiday to Australia would not be complete without a visit to the Great Barrier Reef. Its vibrantly coloured marine life and breathtakingly beautiful coral make this World Heritage site a must see for all visitors. During our full day Great Barrier Reef excursion, we board our high-speed catamaran and journey out to the Marine World platform located on the Outer Reef. Snorkel in the sheltered coral lagoon, or if you prefer to stay dry, view the reef from the semi-submersible reef viewer, glass-bottomed boat or underwater observatory. With ﬁve hours at the reef there is plenty of time to do it all. For the more adventurous, there are a number of activities available at an additional cost, including scuba diving (no experience necessary), joining the marine biologist on a guided snorkel safari, or soaring above the reef on a spectacular scenic helicopter ﬂight. Although today has been left free you may wish to take an optional trip to Kuranda. Our tour begins with traditional Tjapukai aboriginal culture including authentic music, dance and storytelling by the Tjapukai people. We ascend to Kuranda by the Skyrail Rainforest Cableway, a beautiful experience gliding over the rainforest canopy. ‘The village in the rainforest’ Kuranda awaits. It’s a lovely place to while away a few hours visiting the markets, butterﬂy sanctuary or the Koala Gardens. Travel back to Cairns along one of the most unique rail journeys in Australia, the Kuranda Scenic Railway. See how the track clings to the rockface along a narrow coastal strip. During our journey we encounter no fewer than 40 bridges and 15 tunnels as we make our way back to Cairns. Another Freedom Day to enjoy in tropical northern Queensland. Surrounded by rainforest and mountains, Cairns boasts over 200 walking tracks; there are also numerous interesting museums and art galleries to explore. If you prefer to venture further aﬁeld, we suggest a day trip to the nearby Daintree Rainforest, where the oldest rainforest in the world meets the reef at the World Heritagelisted Cape Tribulation. The tour gives a wonderful insight into rainforest’s unique ﬂora and fauna, including a walk with an aboriginal guide and a cruise spotting saltwater crocodiles. An early start today as we make our way to Cairns Airport in time for our ﬂight to Australia’s Red Centre and the next leg of our exciting journey. Upon arrival we visit the impressive series of rounded sandstone domes known as the Olgas. 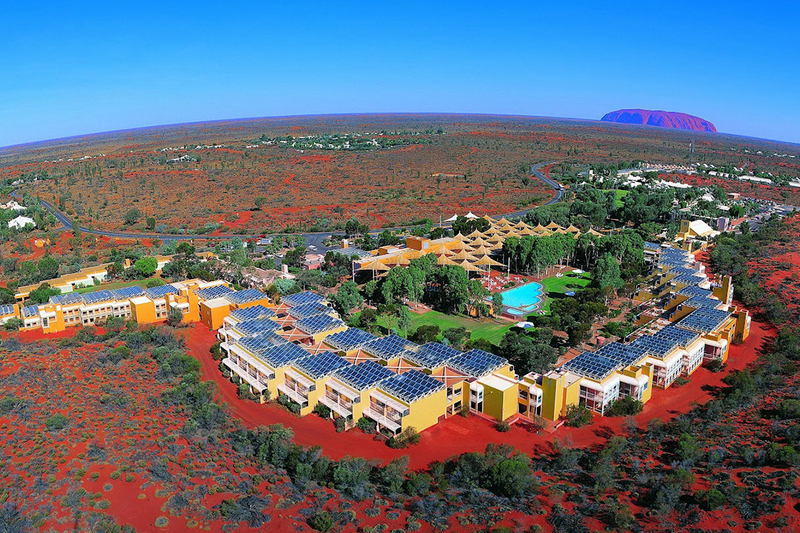 Later in the day we travel to Uluru where we can enjoy a glass of sparkling wine whilst witnessing the changing colours as the sun begins to set. It’s truly a photographer’s delight. Overnight at the four-star Desert Gardens Hotel. Uluru is the icon of Australia’s outback, and the world’s largest monolith. For early risers, a dawn visit to the rock has been arranged. Seeing Uluru at sunrise, from a diﬀerent position and a diﬀerent light, oﬀers a totally new perspective on the ever-changing colours and character of the rock. This afternoon we travel east through amazing landscapes as we journey along the scenic Lasseter and Stuart Highways and make our way to the outback town of Alice Springs. Upon arrival, we shall transfer to the four-star Mercure Hotel, situated on the banks of the Todd River. 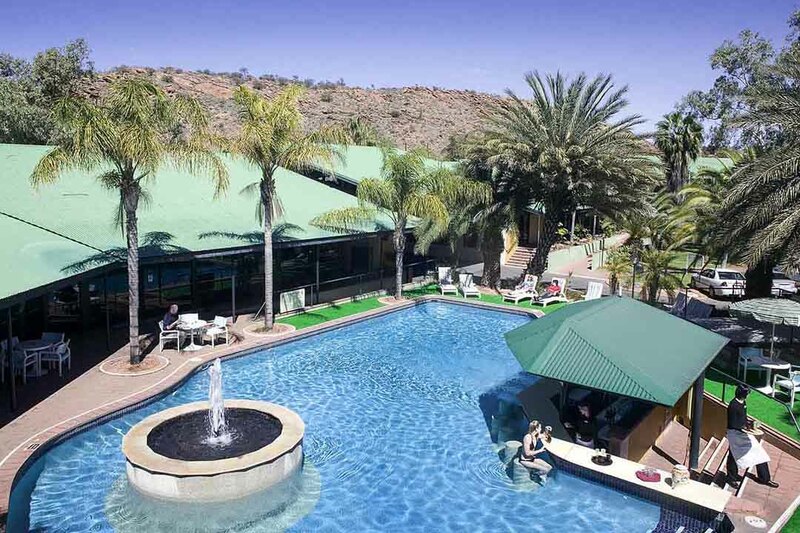 Nestled within the MacDonnell Ranges, Alice is the geographical centre of Australia, made famous by its rich pioneering history and ancient indigenous culture. This morning you may wish to take an adventure in slow motion with an optional hot air balloon trip over the outback landscapes. After breakfast, there is a choice of optional tours available. Perhaps join a half day sightseeing tour of this ‘Town Called Alice’. Visits include the Royal Flying Doctor Service, the School of the Air, and the Old Telegraph Station, now a museum and the site of the old springs from which Alice gets its name. Alternatively, you may wish to take a trip to the Western MacDonnell Ranges; an excellent opportunity to get a real picture of life in the outback. The full day excursion takes us through the wondrous and picturesque scenery of Simpson’s Gap and the towering granite walls of Standley Chasm. This morning we make our way to Alice Springs Airport in time for our ﬂight to Perth, the capital of Western Australia. 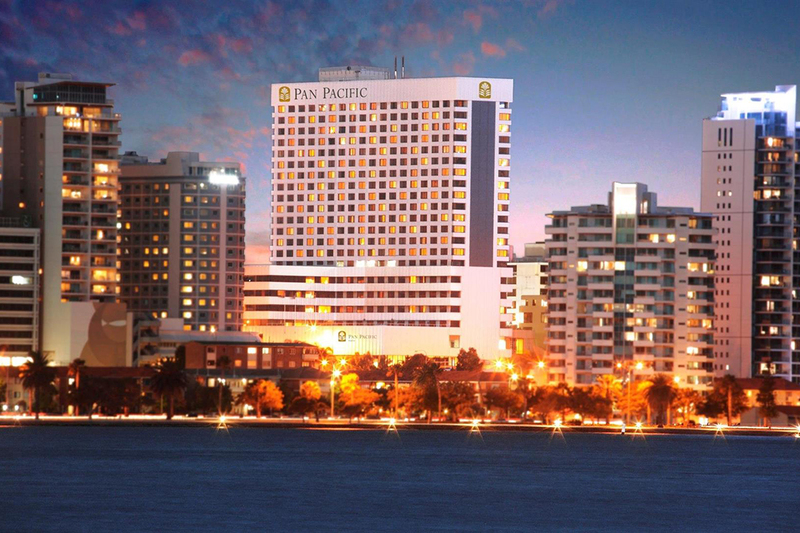 Upon our arrival we shall transfer to the Pan Paciﬁc Hotel, overlooking the beautiful Swan River. This afternoon take a stroll by the river and get yourself acquainted with this stunning city. Nicknamed the ‘friendly city’, Perth is Australia’s sunniest capital and the world’s most isolated city. Today we take a tour of this coastal city and explore the variety of sights it has to offer. 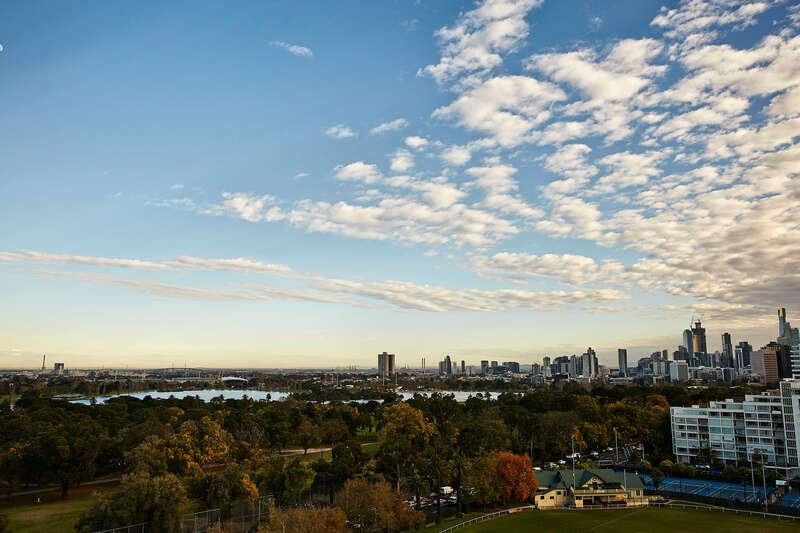 During our tour we will visit King’s Park, where there are wonderful views over the city as well as the park’s own flowers and bushland. We also head to Fremantle, a nearby port town, where we’ll discover more about the many ships that have wrecked off the coast of Western Australia at the Shipwreck Galleries. As we return from Fremantle, we’ll see the Millionaire Mansions before embarking on a cruise along the Swan River, ready for an evening of relaxation at the hotel. Your final full day in Australia gives you the chance to spend the day as you please. We also offer two optional tours so you can take the advantage of the remainder of your time in Perth. The first tour takes you to the nearby Nambung National Park, highly regarded for its beautiful beaches, towering sand dunes and the truly unique Pinnacles Desert, where thousands of limestone pillars known as Pinnacles rise out of the ground. Alternatively, you can take a short trip to the protected nature reserve of Rottnest Island. Here you will find secluded coves, unspoilt white sandy beaches and fascinating wildlife, such as the quokka, a small marsupial. The day is your own until it’s time to depart for the airport. 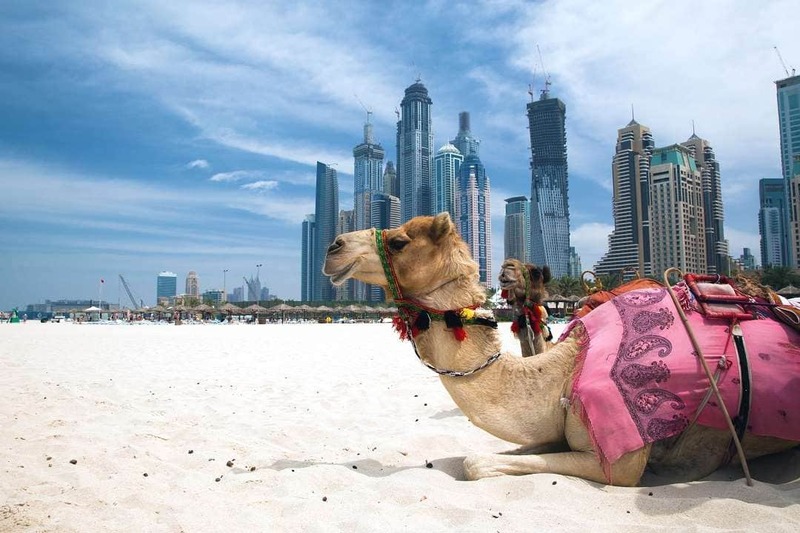 Our ﬂights to our chosen UK airport operate via Dubai where there will be a change of aircraft. London Heathrow passengers may be able to take advantage of the non-stop Qantas ﬂight from Perth. We bring an end to our unforgettable Australian adventure, arriving into the airport of your choice out of Birmingham, Glasgow, London Heathrow, Manchester or Newcastle. 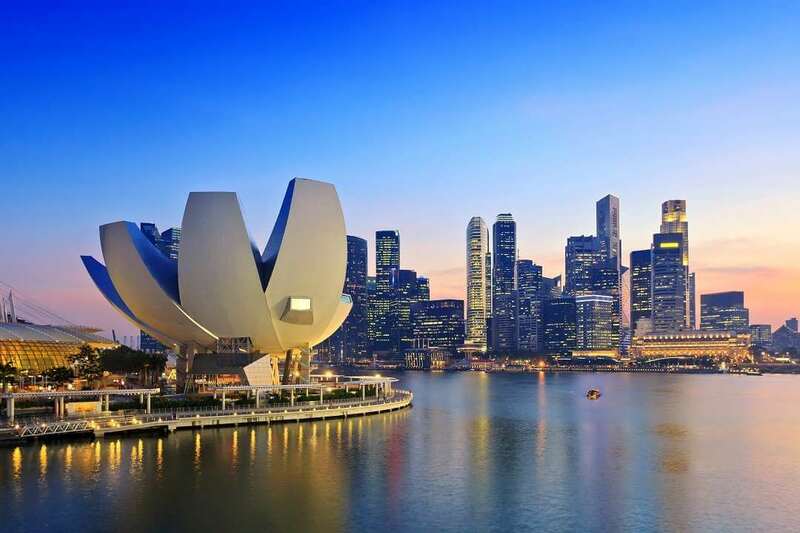 If you’re not quite ready for your adventure to end, we have an incredible special offer on homebound stopovers in either Dubai or Singapore. You can enjoy a stopover in one of these spectacular modern cities for just £69 per person if sharing a twin or double room, or £138 if single occupancy. Return airport transfers, two nights in a four-star hotel and a full daily breakfast are all included – check our departure dates and prices for full details. All you need to do is book by 1st July 2019 and travel on a tour departing after 1st August 2019. Our escorted holidays to Australia are designed to include must-see sights and memorable experiences in your tour price. And the new Essential Australia tour is no exception as so much of what you will experience is already included in the price. That’s all your scheduled international flights, overseas transfers, expertly chosen hotels, daily breakfast and several other meals too, experienced local Tour Manager and several amazing excursions, already paid for. And remember, on top of the great value of the Essential Australia tour, you can save up to £552 per couple by taking advantage of our two night stopover offer, just £69 per person if you book by 1st July 2019. Visa: To enter Australia, you need an ETA (electronic travel authority).We will obtain this on your behalf and the £25 per person processing fee will be added to your confirmation invoice. Throughout your Australia tour holiday, we want you to enjoy a good mix of visits to must-see landmarks and leisure time to experience your destinations in a way that suits you. For example, you might like to try an adventurous activity like climbing Sydney Harbour Bridge or a hot air balloon ride over Alice Springs, or if you prefer a more relaxing experience, perhaps take a cruise to the wineries along the lovely Swan River. Thanks to our Freedom Days, you’ll have the chance to choose an experience to enjoy depending on what interests you most. Find out more about the excursions available by clicking on the descriptions below. *due to the limited availability on these tours, we recommend booking at least 90 days before you leave the UK. Your Distant Journeys travel expert will be able to assist you. If booked within 30 days of departure, there will be a surcharge added to the cost of the excursion. If you’ve taken advantage of one of our two night stopovers on your journey home from Australia you may want to make the most of your short stay in these exciting destinations by taking an optional excursion or two. After all, who could visit Singapore without a trip to the world-famous and historic Raffles Hotel for afternoon tea or a Singapore Sling? And if Dubai is where you’ll spend the last two nights of your holiday, why not enjoy one of them feasting Bedouin-style on a Desert Safari? Click on any of the descriptions below to find out more about any of the optional excursions in Dubai and Singapore. *due to the limited availability on these tours, we recommend booking at least 30 days before you leave the UK. Your Distant Journeys travel expert will be able to assist you. Travelling to the other side of the world naturally means you have a long journey ahead. So to help make the journey a little easier, we’re pleased to offer a two-night homebound stopover in either Dubai or Singapore for just £69 per person (£138 for single occupancy). This amounts to a saving of up to £552 on the normal price. To take advantage of this special offer price, all you need to do is book by 1st July 2019. The offer is available on all Essential Australia tours and is subject to availability of flights and accommodation at the time of booking. Your special offer homebound stopovers includes return transfers and accommodation for two nights including full breakfast. The Essential Australia tour is a new itinerary with departures in late 2019 and early 2020. This page will be updated with reviews as soon as our returning customers are contacted by the independent reviews company Feefo. In the meantime, please feel free to look at the reviews for our other tours to Australia – we’re sure you will be impressed with the service our guests receive and the great reviews they kindly give us!